Boxes protect books. 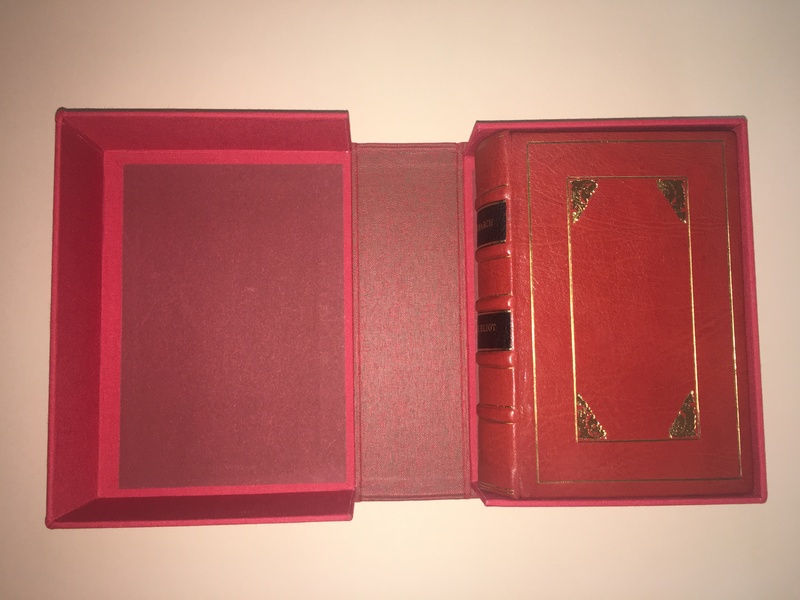 Below are two clamshell boxes – the first one has a flat spine and the second has a rounded spine. 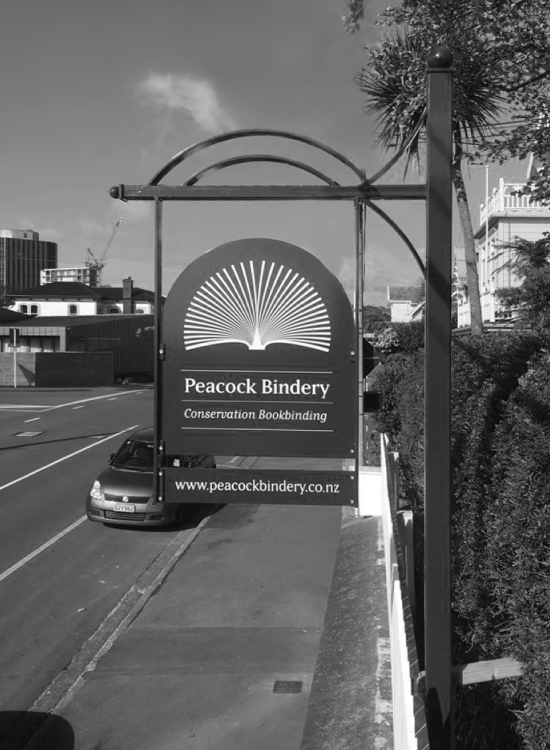 The rounded spine looks just like a book on the shelf. One drawback of boxes is that they take up a lot of space. 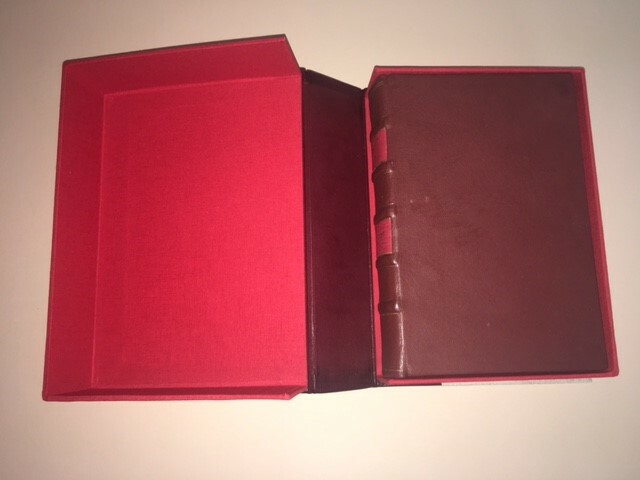 Clamshell box: partly open revealing book inside. 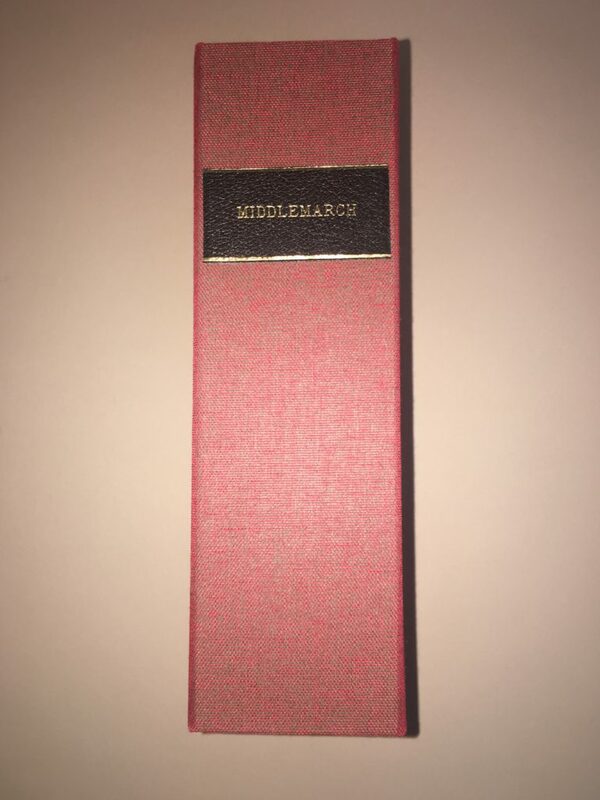 Clamshell box: this is the spine of the closed box and as it would look on a shelf. 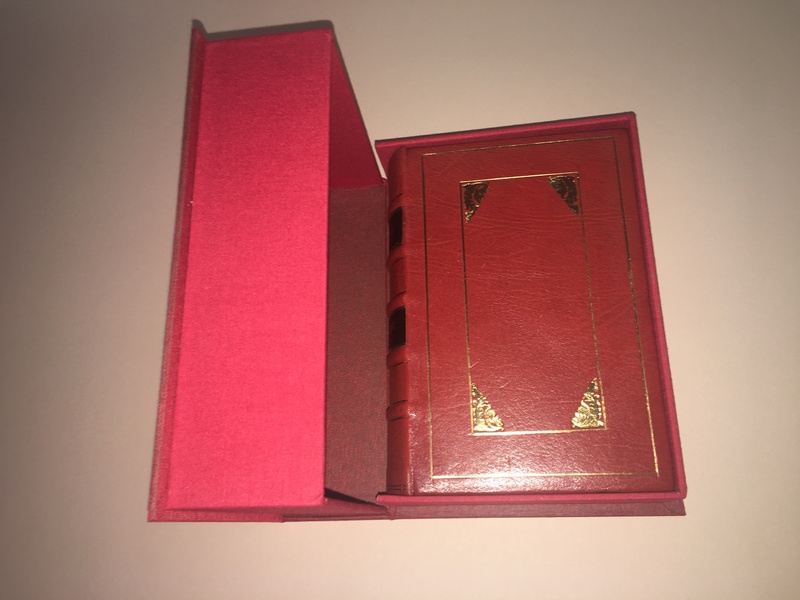 Clamshell box: this has a rounded spine. 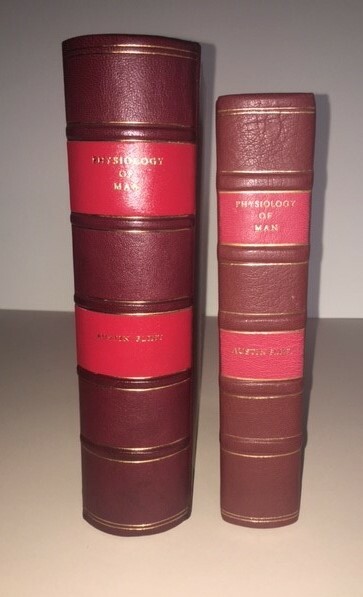 The left hand image is the rounded-spine box as it would look on the shelf. The right hand image is the book that fits within it. 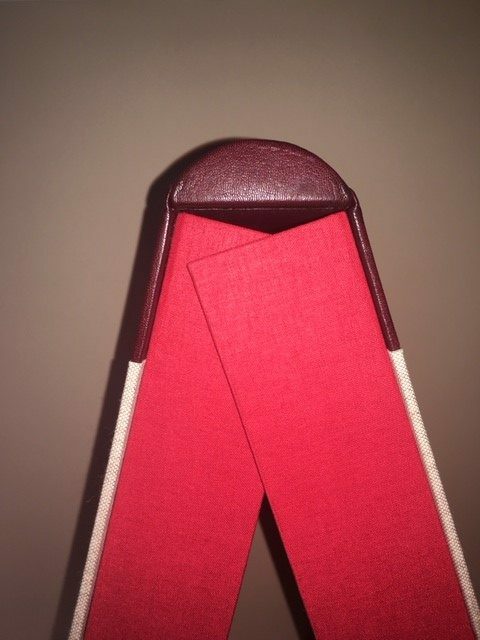 Detail of the rounded-spine clamshell box showing brown leather spine and red cloth for the trays that hold the book.